Whether your child is brand new to dance or a seasoned competitor, we will help them discover their creative talents and realize their potential in a friendly, community setting. A wide variety of dance and fitness programs. Come dance with us! We have classes for all ages and abilities, starting as young as 18 months. We also offer competitive dance and a musical theatre program. Have fun and try new styles at one of our dance camps! We run camps during March Break and the summer, along with specialty camps and intensives. 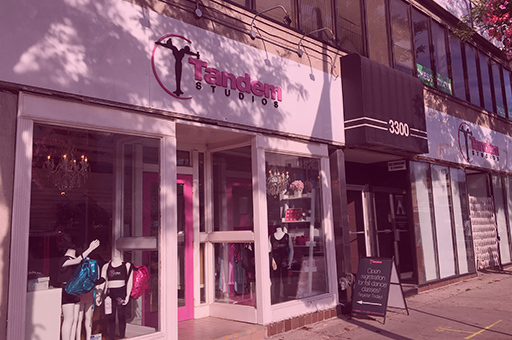 Get fit with Tandem Studios! From boot camp to yoga to adult dance classes, our friendly and qualified team of fitness instructors will get you moving. We have 7 studios at our 6500 sq. ft. facility available for rent. 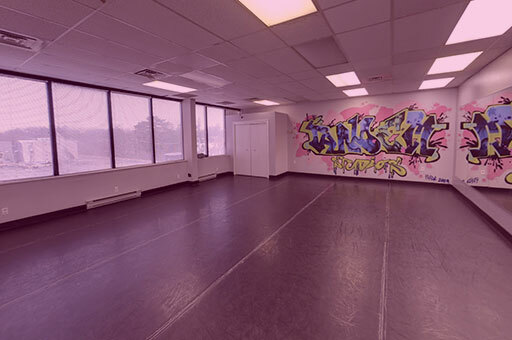 If you are looking for space for your next rehearsal, workshop or community program, check us out! We opened in 2007 with a goal to help children and adults lead a healthy, active lifestyle in the comfort of a neighborhood environment. That vision still holds true today. We are proud of our community roots and are committed to maintaining our family feel as we innovate and grow. We offer programs for all ages and abilities, from tiny dancer classes to an elite competitive program, along with a musical theatre program and a wide variety of drop-in fitness classes. We are conveniently located in North Toronto on Yonge St. just north of the Lawrence subway station. If you are looking for an outstanding performing arts experience for your child or a fun fitness program for yourself, call us today! Classes for this season start on September 10 but it’s not too late to join! Click below to find out which classes are still available and to register.